One major mistake most website owners make after they launch their website is failing to update it regularly. This can affect sales, the way customers see your business, search engine ranking and more. 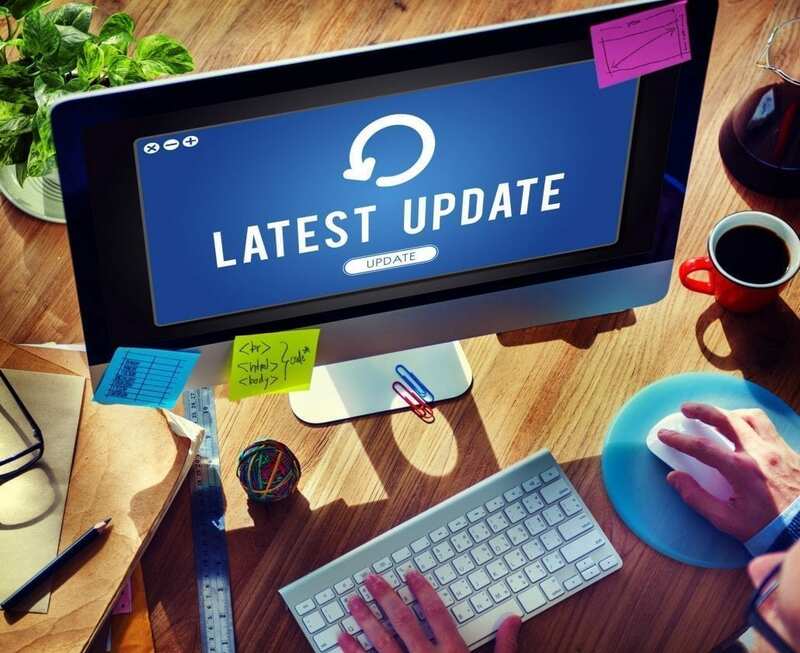 Below are some of the signs that your website is overdue for an update. Your business and needs change over time, so if your website can’t help you reach your goals or isn’t flexible enough to change with the times, then you need to think about upgrading or redeveloping. In the fast-changing landscape of the Internet, it doesn’t take long for a website to go from ‘wow’ to ‘lame’. And it’s not just the design – even the way the site functions might not work as users want or expect. If your website is ugly or difficult to use then what impression will your visitors have of your business? You only have about four or five seconds to impress visitors, otherwise they’ll leave your site. If your pages, especially your home page, take an age to load, then you need to make some changes to ensure you’re not losing new business. If your competitors have launched new sites or improved their existing sites, it may be time to have a good look at your own. It may only take a few small tweaks to ensure your potential customers don’t take their business elsewhere. Updating your list of products or services is critical, because if your current or potential customers don’t know what you do, they won’t enlist your services. If your business is now targeting a different audience, for example changing from young adults to teenagers, then you need to consider what they would like to see on your website. Does your design need to change? Do you need more social interaction tools? Do you use the correct language? If you have news or a blog on your website, it needs to be kept up to date. Visitors will see the dates of your articles, so do you want to leave them with the impression that your website isn’t updated? By extension they may think your business operates the same way. These days, if you can’t update your own website, you’re probably either paying someone else to do it for you, or not updating it at all. In either case it’s probably time to get a Content Management System (CMS). A CMS will allow you to update your content, add new pages, and upload files and images. Even if you don’t have a company Facebook page (though we strongly recommend you should), let your visitors interact with your website with comments, or spread the word with sharing tools. It’s free advertising and allows you to connect with your customers in a way that simply wasn’t possible in years gone by. Is it time to think about updating your site? Contact us for cost-effective ways to improve or redevelop your website.